Of those 44 fiction books, 25 were written by authors new to me! It was a banner year for audiobooks with 27 and 2 where I both read and listened. 1. The Homecoming of Samuel Lake. This is everything Southern fiction should be. 2. Roll of Thunder, Hear My Cry. More Southern fiction at its best. Winner of the 1977 Newberry Medal. 3. The Fault in Our Stars. It was worth all the hype. 4. Me Before You. Also worth the hype. I’m looking forward to the sequel and movie in 2016! 5. The Perfect Match. Second in the Blue Heron series and my favorite romance this year. None of these books were published this year so I’m adding a 6th favorite, my favorite book published in 2015. 6. First Frost. I love SAA and this continuing story of the Waverly family. The only 1 of your 6 I have read is Me Before You. And I totally agree about that one. Should I be reading 1 or more of the other 5? And please keep in mind that my TBR pile is already gigantic! 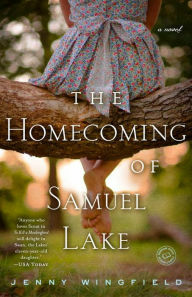 Well, I would say to add The Homecoming of Samuel Lake to your list. I listened to most of it and the audio was fantastic. I couldn’t even pick favorites this year; I didn’t feel there were enough compared to other years! I loved ‘Samuel Lake’. I have to say I’m very impressed with your stats. When I had young kids I think I read 10 books a year (maybe!). It seems impressive doesn’t it? But you notice that almost half were audiobooks. I listen in the car and when I’m spending hours in the kitchen. My audiobook stats are up this year too. I think that is partly because of living in the country, but I’m also thinking I spent more time walking and listening, which was a good thing. Yes, my audiobooks are way up and I expect that to continue. To be honest, I had to be a little OCD in reaching the goal this year. It was sometime in November when I realized that I had to read 10 books to reach my goal. And then I realized that 60 books was the only personal goal I set this year so I worked like mad to reach it! I’ve read 2 of your favorites and loved both of them. I got an Audible subscription for Christmas that I’m very excited about so my audio books might go up this year. Oh, I’ve been so tempted to try Audible so I’m curious to see what you think. What a great gift! I loved your 1, 3 and 4 Stacy. Wishing you a happy and healthy 2016. Congrats on reading more this year. Many of your favorites have made my lists over the years. I love the Blue Heron series too. Happy New Year. I really hope to catch up with the Blue Heron this year! I thought that First Frost was a good read. I am the odd lady out when it comes to Fault In Our Stars though. 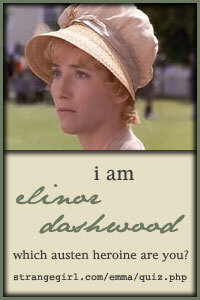 The Woman in White has been on my TBR for a ridiculously long time. Maybe this will be the year. It looks like you had a wonderful year. Congratulations on meeting your reading goal. I like that you add just one more book to the challenge every year. The Fault in Our Stars is tricky because the dialogue borders on too much and either you’re all in or annoyed 🙂 The Woman in White ages well, enjoy! I love the cover to The Dress Shop of Dreams too. 🙂 I had hoped to get to that book this year, but didn’t. I hope to this year. I really liked The Fault in Our Stars too. And Roll of Thunder, Hear My Cry is a childhood favorite I should revisit someday. I still have my copy. 🙂 I hope you have a wonderful 2016, Stacy, both in reading and in life. Thanks, my friend! I hope both of our years bring happiness and health! 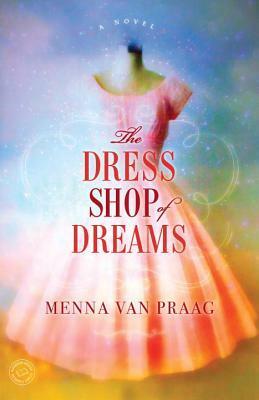 I really like the cover of The Dress Shop of Dreams, which I thought was a cute story. Sarah Addison Allen is one f my favorite authors. Read all her books – can’t wait for her next one. She can’t write fast enough for me either!